Minneapolis and St. Paul are known for their unforgiving winter seasons and having more than its fair share of lakes. However, they also have unique and not so well known stories to tell that most may not know about. For instance, most people know the region is rich in history and culture; but may not know Minneapolis is one of the biggest little cities in the U.S. 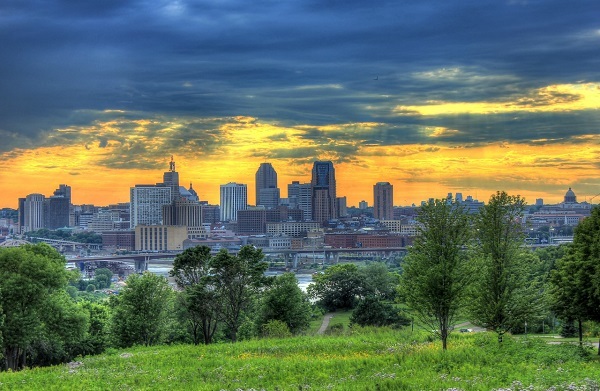 The Minneapolis and St. Paul region has almost 3.5 million residents calling it home. There are quite a few little known facts about Minnesota’s Twin Cities, too many to list, and fun facts all across Minnesota. Do you know these? Minneapolis has three nicknames 1 Twin Cities together with neighboring city Saint Paul, 2 Mill City and 3 City of Lakes. 47th largest state in the U.S.
Fifteen Fortune 500 companies call the Minneapolis – St. Paul region home. Target, UnitedHealth Group and Best Buy are just a few notables among the fifteen. Minnesotan innovators gave us every day products and services used all across America. Per capita, there are more golfers in Minneapolis than any other U.S. city. Famous musical artist, Prince is from Minneapolis. Minneapolis Sculpture Garden has been the largest urban sculpture garden in the United States since 1992, when it was expanded to eleven acres. Minneapolis is third to New York and Chicago for having the largest theatre market. The first formed Better Business Bureau founded in 1912 was in Minneapolis. Minneapolis Metrodome climate controlled sporting events area is the only one of its kind to host a World Series, a Super Bowl and an NCAA Final Four Basketball Championship. On February 9, 1895, Minnesota held the first Intercollegiate Basketball game in the country. Minneapolis and Seattle are tied as the most literate cities in the United States. Located in Bloomington, MN, the Mall of America is 78-football fields large translating into 9,500,000 square feet. In 1926, McGraw Electric Company marketed the Toastmaster the first automatic pop-up toaster retailing at $13.50 at the time. In today’s market, that is the equivalent of almost $165.00. In 1889, the Minneapolis Public Library set a trend with libraries across America when they separated their children’s book collection from all other collections. A skyway system that connects 52 blocks of downtown Minneapolis making it possible for residents to work, shop and eat without going outside; ever. Downtown Minneapolis is home to a statue of 1970’s CBS television sit-coms The Mary Tyler Moore Show legend, Mary Tyler Moore. The statue marks the place where the iconic opening scene was filmed with character Mary Richards throwing her hat high into the air. With a shoreline of 90,000 miles, Minnesota has more than Florida, Hawaii and California combined. Most people know the Twin Cities are full of history, family fun, culture and adventure. People visit it every year in the thousands of thousands, to take advantage of all it has to offer. There a lot of fun and interesting little known facts about Minnesota’s Twin Cities to explore. The ones above are just the tip of the iceberg. As a practicing DWI Lawyer in Minneapolis I am proud of this city, as well as our twin city of St. Paul. We hope you enjoyed these interesting facts about our two largest cities!